Selene has had her job to keep her busy all this time…and we all know how ISFJs love their work. After her family is murdered sometime in the 1400s, Selene is taken in by head vampire guy, Viktor. He tells her Lycans (werewolves) did it. Not only did Lycans do it, but by being a vampire, she can avenge her family’s death and kill all of her enemies in an ongoing war that was started and continued by those dog-like fiends. So Selene, now a vampire, kills, and kills…and kills. She doesn’t question, she doesn’t stray, and she doesn’t socialize with the other vampires that don’t take work seriously. She sees them as time wasters that don’t understand how important it is to finish their job. It’s what Viktor wants! Sound like anyone you know? Well, humanize the example and you have an ISFJ. Their Introverted Sensing first tells them what should be and what shouldn’t be; what they know and what they don’t. It stores data, comparing incoming information to what the user already knows. So for Selene to kill Lycans for 600 or so years really isn’t that long for her considering how much ISFJs will put up with in the name of their job- even if they hate it. It’s not that they’re pathetic (unhealthy ones maybe), it’s that they take their responsibility seriously and want to see things through. What does Selene know? She knows that Lycans are murderous, treacherous, nasty creatures that have often tried to kill her and her vampiric family. Why are they trying to do that? Because…because…they’re…they’re bad…right? Selene knows what Viktor has told her, and evidence seems to support that. Personally, I think someone should’ve have trained her to NOT LOCK HER ELBOWS when she shoots, but I guess all rules go out the window when you’re immortal. All of her training, her tactics and plans are all put toward her job and she doesn’t have much time for anything else. Her Extraverted Feeling second? Well, this is what you get when you suppress it. After so many years of weapons, killing and coffins, Selene sees Michael (lame-o Scott Speedman) and there is an obvious, immediate attraction. Their connection is eventually responsible for the downfall of the modern struggle between the two races. Other people knew that Viktor was treacherous and backstabbing while Selene has full faith in him and was crushed by the truth. Her loyalty to Viktor is replaced by her loyalty to Michael and by the events of the fourth movie (yep- there are four), her daughter as well. Each film that she’s in, she is searching for answers involving a loved one and there are many that are shot, stabbed, broken, dismembered and bitten for her to find those answers. This is a “gore-ified” version of real life ISFJs whose love for family, friends, their values and traditions take priority above all else aside from their work, of course. So it is kind of interesting that throughout the films, she goes through an immortal variation of an ISFJ woman- from father figure, to love interest, to her own child. Let me also point out the emphasis on the ISFJs focus on tradition and values as their traditions and values. Many an ISFJ seem unhappy with their MBTI description in thinking that they’re being told they don’t have a mind of their own and brainlessly carry out others ideas and beliefs. Not necessarily true. While some ISFJs may do they’ve simply always known, it’s not uncommon for ISFJs to have their own traditions when starting their own home. Any argument as to what else Selene could be, feel free to put it out there. 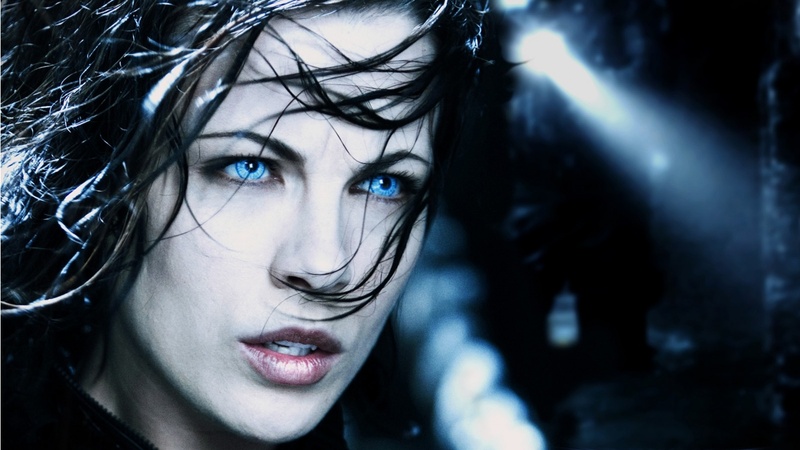 This entry was posted on 07/22/2013 at 3:16 pm and is filed under MBTI Guardians, MBTI Stuff with tags isfj, kate beckinsale, mbti in fiction, selene, underworld. You can follow any responses to this entry through the RSS 2.0 feed. You can leave a response, or trackback from your own site.